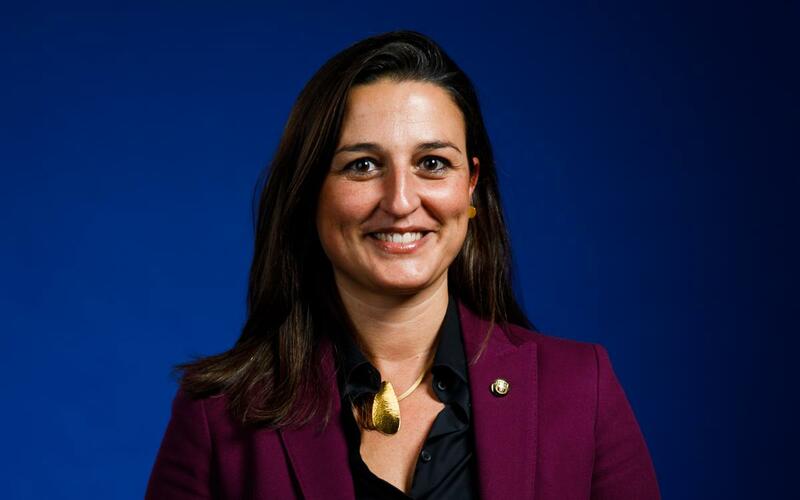 Maria Teixidor (Barcelona, 8 October 1975; member 45.277) is a graduate in law from Pompeu Fabra University in Barcelona and she is a lawyer, mediator and businesswoman in the LegalTech sector. She has developed her career as an advisor to cultural companies, publishers, foundations, associations and technological start-ups, also specialising in the area of alternative conflict resolution, again, on-line. Partner in BCN RESOL ODR SOLUTIONS, S.L, she created the first application for detecting bullying and mediation in schools. She is also a director of MPD – Modelo de Prevención de Delitos, S.L., which designs, produces and implements a model for the prevention of crime. After the elections of 18 July 2015, Teixidor joined the FC Barcelona Board of Directors as vice-secretary. In October 2015 she was nominated vice president and secretrary of the FC Barcelona Foundation, positions she held until December 2017 when she assumed new responsibilities in the Club's sporting area. On 11 February she is named secretary of the Board of Directors after the post was left vacant by Jordi Calsamiglia following his incorporation into the Compliance committee. Currently, she is responsible for Women's Football (since January 2018); President of the Club Control and Transparency Commission (from September 2017); as well as President of the Grup Edelmira Calvetó (from January 2017, member since October 2015) which is an entity set up by the Board with the intention of reclaiming the legacy of the role of women in FC Barcelona's history and as members, promote women's participation at the club and debate the role of women in sport. As a director, she oversees activities related to children and to older people such as the FCB Senate and the Casal de l'Avi. She also represents the Club at the Women and Sport Working Group that forms part of the Barcelona City Council's Municipal Committee for Sport. Since May 2017 she has been a member of the United Nations Association and from March 2018 she has a member of the 50a50 Association which acts as a lobby to promote women's representation all spheres of influence in society, advancing women's participation and equality in decision making bodies in all areas. Previously, in 2013-16, she was a board member of the Secció de Tecnologies de la Informació de l’Il·lustre Col·legi de l'Advocacia in Barcelona.